I mentioned in this post a little while back that I was learning more about less waste practices this summer. More and more I feel as though there are so many simple ways we as a family can cut back on the waste we produce and send off to the landfill each year. Sure, we recycle. We also compost as much as possible. We’ve even gone as far as choosing sustainable materials for many household items, clothing, and toys, to scratch the surface. These worthwhile and green contributions aside, there is still so much more we can and want to do as a family to help protect this beautiful home of ours. I will be doing many more Zero Waste posts in the future, with hopes to learn and share and delve deeper into this thoughtful and important philosophy that encourages reducing, reducing, and recycling the things we consume on a daily basis as we create a more intentional way of living, not because of where it lies on the hierarchy of zero waste practices, but more so because of where I’ve naturally ventured as a homemaker. I am sharing how to preserve your food and leftovers, something we do nearly every day, without having to add more non-recyclable trash to your bin. Before I share some of the wonderful products we are now using in lieu of more wasteful ones, I want to say a few things that I’ve been thinking about prior to writing this post! I do not think you have to know everything about a subject to start a thoughtful conversation about a subject. We are not a 100% zero waste family, but that doesn’t discount our past, present, and future efforts in trying to do what we feel is right. I do not judge you if you do not feel the same as I on this subject, or any subject for that matter. This is an open place where I hope we can learn from one another while pursuing our truths, whatever they may be. I think there is a big difference between mindful consumption and unnecessary, or otherwise, unthoughtful consumption. In light of the above, grace. Because we all need and deserve a healthy dose of it, both you and I. In: Cloth Bowl Covers | Out: Plastic Wrap – Instead of digging out that long box of rolled up plastic, consider these practical and beautiful cloth covers to use on your enamel or ceramic bowls when saving leftovers. They come in a variety of sizes and offer a simple solution for food preservation. To clean them, toss in the washing machine on cold and hang to dry. They should last you years and years. I use these covers for dishes that are either made ahead for supper, for take alongs, and for leftovers we want to keep in the fridge. I am going to find a pattern to make some for my larger, rectangular shaped baking dishes. 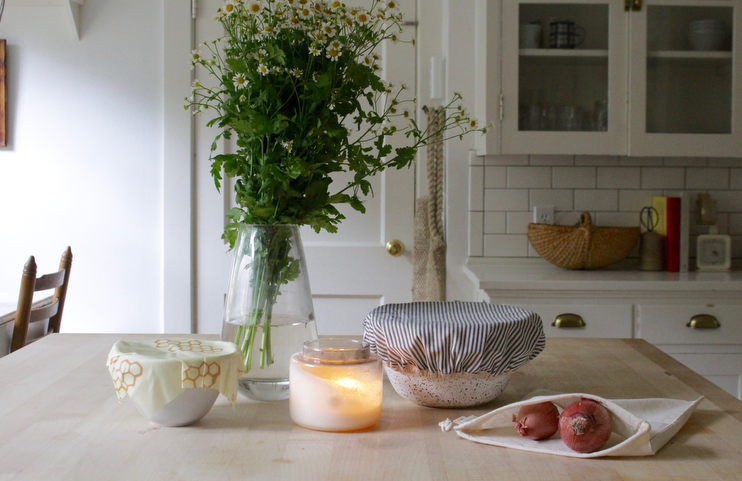 In: Beeswax Wraps | Out: Plastic Wrap – Again, instead of leaning on plastic wrap, tin foil, and other non-recyclables to save odd-shaped foods or cover sustainably made bowls or basins, use this eco-friendly option made from our friends, the bees! 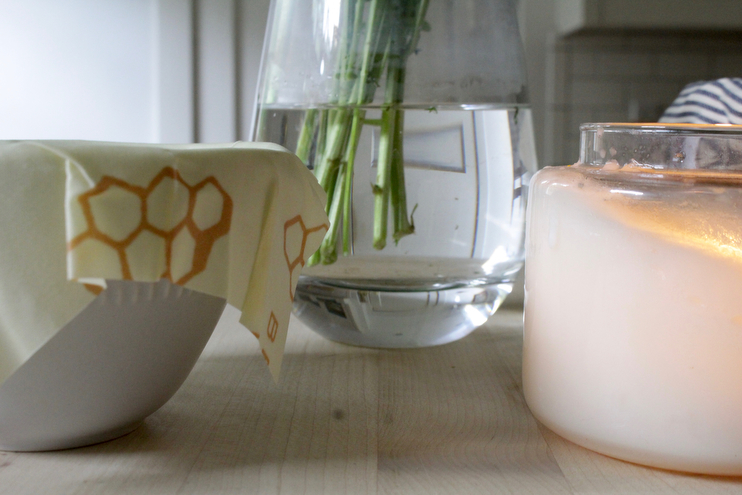 To clean these bee’s wraps, hand wash in cool water with dish soap and hang to dry. You can fold these up like I have done above. These, unlike the cloth bowl covers, are not recommended for meat and should be kept away from heat, because beeswax melts. I love these because you can cut them up and use for things like halves of onion or blocks of cheese. They mold onto pretty much everything, and work well if your container is an interesting shape. In: Organic Muslin Bags | Out: Plastic Tupperware – Chances are if you’ve ordered sustainable goods from a thoughtful maker or seller, Lil Bellies comes to mind, you’ve received said goods in muslin bags. I save all of mine and use them for so many different things, food preservation included. Because of their sustainability and versatility, I’ve ordered several more and use them in to house numerous food items, whether in the kitchen or on the go. They tie up nicely and are great for dry good storage like pretzels, cheddar crackers, and granola bars. To wash, do the same as you would the cloth covers, making sure to hang dry. There are several other zero waste practices we do around the house, but I will share those another time. For now, I’ll leave you with this and some food for thought! 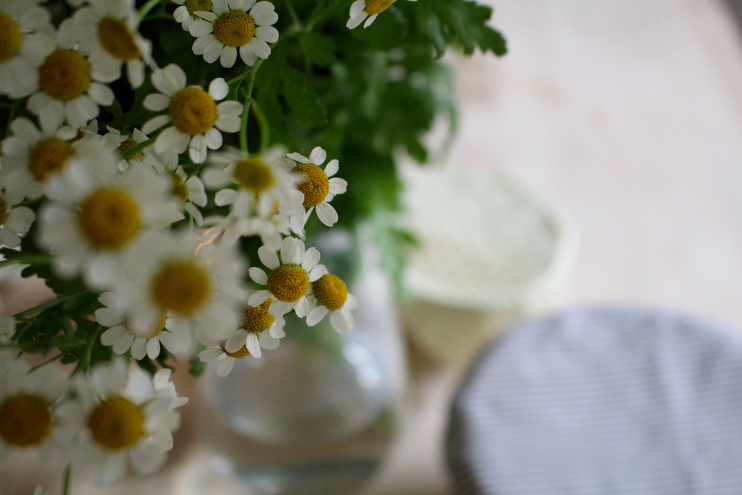 If you were to make a list of 10 ways you would reduce waste in your home, think simple here, what would they be? What items could you do without, or if need be replace with a more eco-friendly option, as to not contribute to the piles of trash that get dropped off at the landfill each day? Andrew and I each made a list and compared notes, and goodness were they ever different! Mine focused more on the kitchen, while his had to do with saving on electricity etc. From our list we’ve started down the path of making more intentional changes as a family to consider the things we bring into and use within our home. And lastly, if you dear one have some more resources, podcasts, documentaries, or other forms of knowledge to share on the subject, I am all ears! great post, as they all are………….been following your blog for over a year now and always look forward to reading it. thank you for all the inspiration and your example of grace!! I will add that the muslin drawstring bags are great for bulk items when shopping at the store, and we also bring cotton mesh produce bags rather than using the plastic ones. search: simple ecology reusable bags. me again, I do see now the link you shared for the produce bags, sorry I hadn’t clicked through them all before I commented……..perfectly illustrated there! I’ve been reading Readingmytealeaves.com and Neverhomemaker.com for years and they both write lots about this! Check them out. I love this post! We’ve been working to reduce food waste and implement some zero waste tactics in our home as well. It’s been really eye opening to look at what we throw away and buy with a new awareness. It’s already impacted so much, included switching to a shampoo and conditioner from a company that uses metal containers and recycles the bottles for reuse after you send them back! I love this post, because I love this sentiment! We recently moved back to the US after a year living abroad, and with it are seeking to make some big changes in the waste we produce as a family. I tell ya, living in a foreign city riddled with pollution made FOR AMERICA will change your perspective! Some easy things we are doing: cloth grocery/produce/food storage bags, stainless steel lunch boxes, reusable water bottles, bee’s wrap, wool dryer balls, bringing my own jars to purchase bulk foods vs. prepackaged, stainless steel straws, composting, buying secondhand, buying natural materials (for clothing, furniture, home decor, etc. A wool sweater can compost! Acrylic, obviously, cannot! ), growing our own food (and buying local), making cleaning products and body products at home in glass containers. We just use bowls on the top of our ceramic bowls to store food in the refrigerator. And we like bell jars for traveling! Thanks for this post – I look forward to the next one on this subject! I really like the muslin bags… but you mentioned using them for crackers, granola bars, etc. Wouldn’t they get stale pretty quickly?